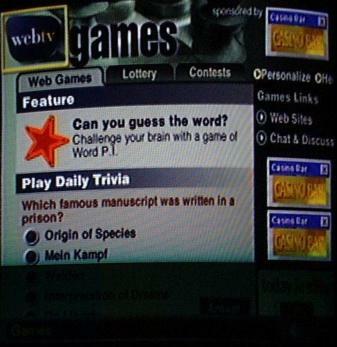 For a week during July, 2001, Bill's Game's "Word P.I." was spotlighted on WebTV's Games page. And for one day, it was highlighted as the Site-of-the-Day.